Yes, there is such a thing as BWI — or DWI on the water! Boating is a very popular past time in Ithaca, New York and in the Finger Lakes region and drinking on a boat is very common during the spring, summer, and fall. BWI is similar to a DWI charge, but there are many differences. This page is designed to help answer some of your questions with respect to BWI in New York. We defend BWI cases every year as part of our practice. NY BWIs fall under Navigation Law section 49-a. 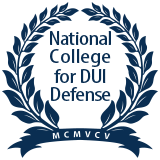 Similar to DWI and DWAI (alcohol) there are a BWI (misdemeanor) and a BWAI (violation). BWI is a criminal charge that could lead to a permanent lifetime criminal record. The legal standard (definition) for BWI (intoxication) and BWAI (impairment) for water operation of a craft are comparable to operation of a car or motorcycle on land. They both relate to a person’s mental and physical abilities to operate a boat in a reasonably prudent fashion. You are only in danger of losing (suspension) your license to operate a BOAT not your car. The boating suspensions are 6 months and up for the BWAI (violation level), and one year for the BWI (misdemeanor). There are specific boating safety classes required with both BWAI and BWI. The classes have to be either state sanctioned, US Coast Guard, or US Power Squadron safety classes. There is a “contribution” (around $200) to the “I Love New York” Safe Boating Fund. The fines range from $350- $500 for a BWAI, and $500- $1,000 for a BWI. The BWI and BWAI will be reported on your New York DMV driving abstract, so your auto rates will eventually be affected by your boating charges. If you are from out of state it is likely that this will also go on your state’s DMV record because NY has an interstate compact with many adjoining states and the National Driver Registry is a federal database that every DMV in the country can access. The BWI is a criminal charge and will affect your entry into Canada in the future. The BWAI violation is also going to affect your ability to enter Canada because it is an alcohol-related offense. If you refuse the Breath Test back at the station (not to be confused with the preliminary breath test on the roadside) you will face many of the same consequences, i.e. increased boating license loss, additional fines, as a DWI test refusal. The BWI has a 0.08% BAC (breath alcohol concentration) standard, same as a DWI. There will be additional NY state surcharges of around $240 for a BWAI, and $400 for a BWI. There are two types of BWI, a BWI “per se” offense based only upon your BAC (0.08% or more) and a BWI “common law” based upon the officer’s observations, field sobriety testing, and other evidence of intoxication. Same as DWI. Since NY state has no expungement statute a BWI (misdemeanor) will remain on your permanent criminal record forever. BWIs are defended much the same way as DWIs. The state (the prosecutor) still has the burden of proving you were intoxicated at the time of operation. The breath machine can be challenged for accuracy, validity, and reliability. The officer’s tests can be shown to be administered improperly or scored with bias. *As of now, You will not lose your privileges to DRIVE A CAR with a BWI. However, there is legislation in the NY Senate called “Tiffany’s Law” that has been pending for many years. If passed, it would possibly link BWI with DWI type penalties, including loss of car driving privileges. It is worth consulting with a BWI attorney if charged to make sure this remains the standard as time passes. If you have questions about a Boating While Intoxicated charge in New York, you can call our office at (607) 229-5184.